Adult. 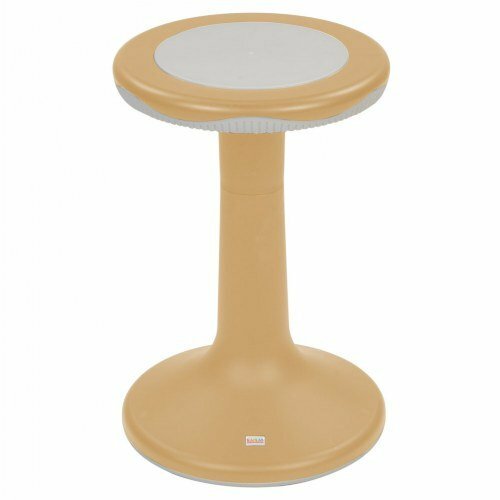 The K-Motion Stool offers a unique and functional option for adults who need movement to focus. The stool's convex base allows for discreet motion in all directions and provides a physical outlet for anyone who struggles to sit still. The sturdy, padded base also prevents slipping. Offering K-Motion Stools as an alternative seating option can help channel children's physical energy while reducing attention concerns in the classroom. One of the best features of the K-Motion Stools is the lightweight, durable body that allows for easy transport around the classroom. Seating height is 20". 250 lb. weight limit. If you have any questions about this product by Kaplan Early Learning Company, contact us by completing and submitting the form below. If you are looking for a specif part number, please include it with your message.